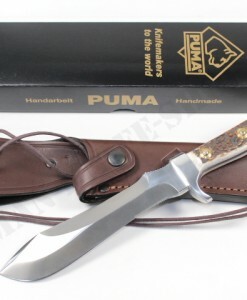 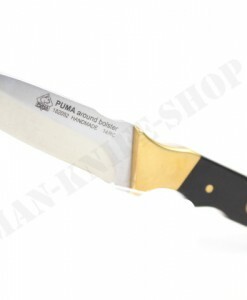 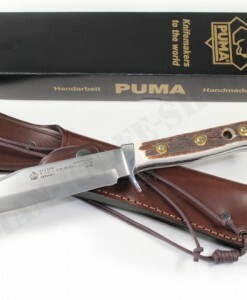 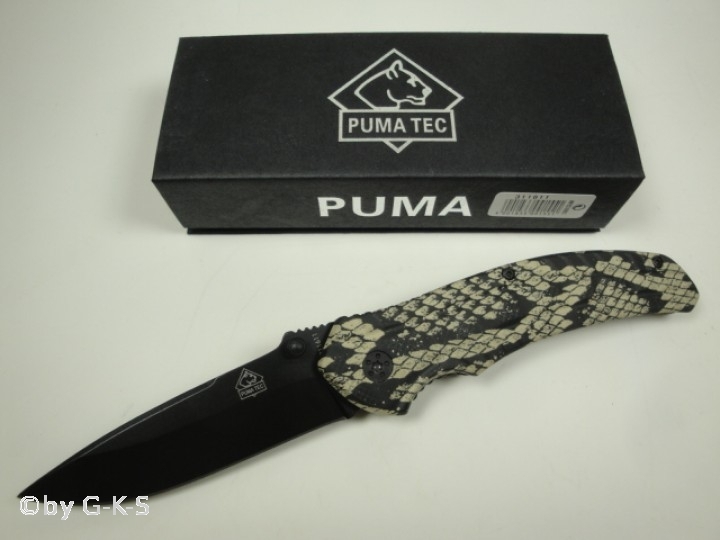 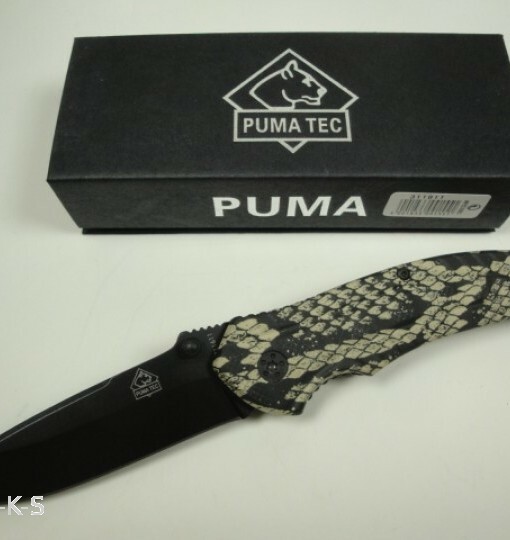 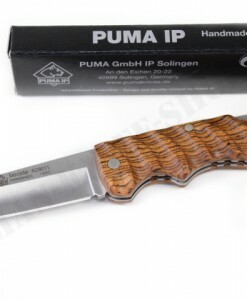 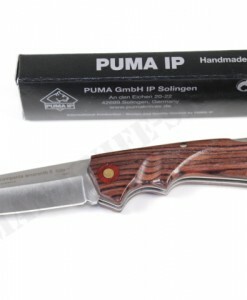 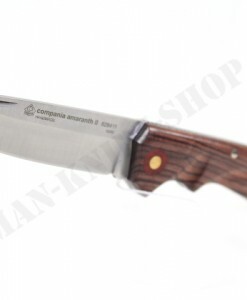 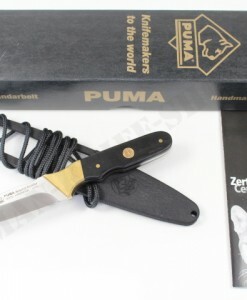 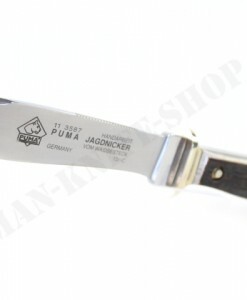 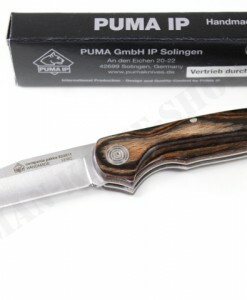 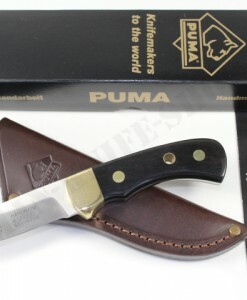 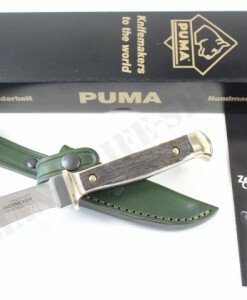 Dear customers, here we offer a beautiful folding knife made by Puma ! 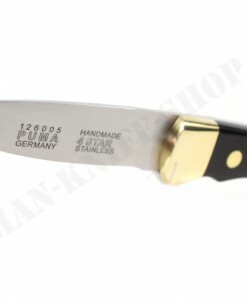 The blade is made from high grade stainless steel 420A ! 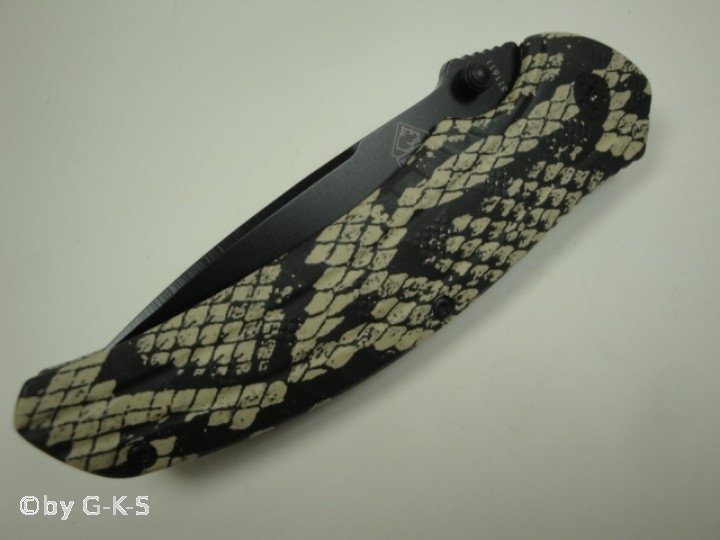 The both grips cups are made of Aluminum in Snakeskin design ! 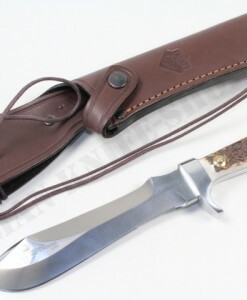 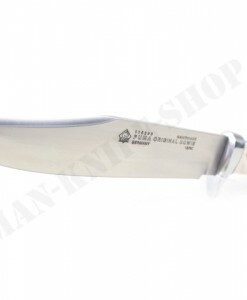 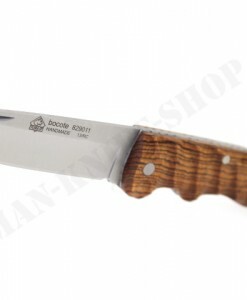 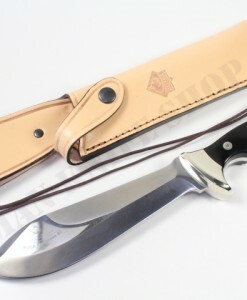 The handle has stainless steel metal belt clip and the knife has two thumb studs at the blade. 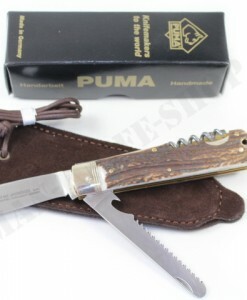 So you can use it with the right and also with the left hand. 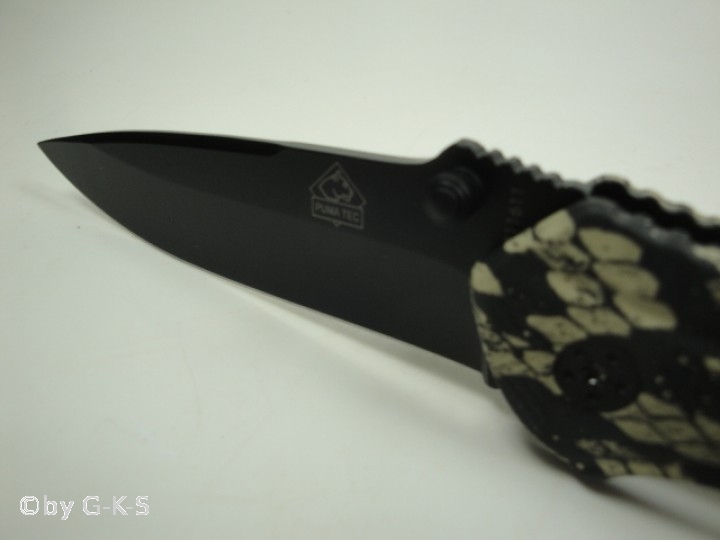 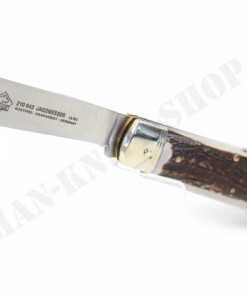 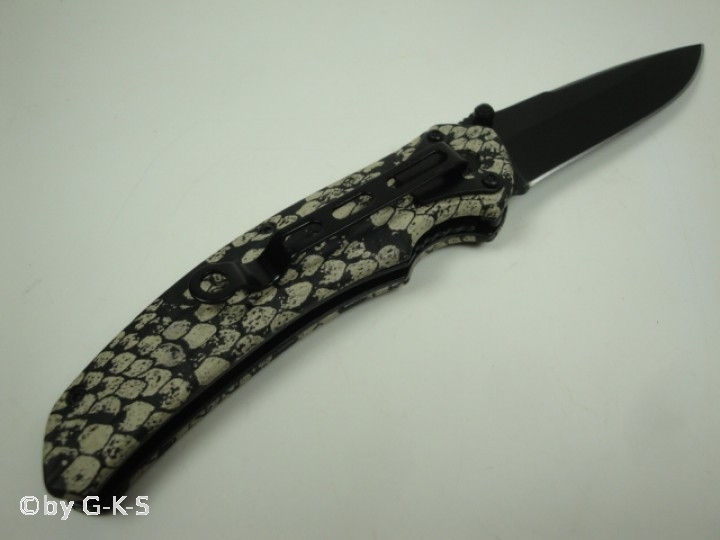 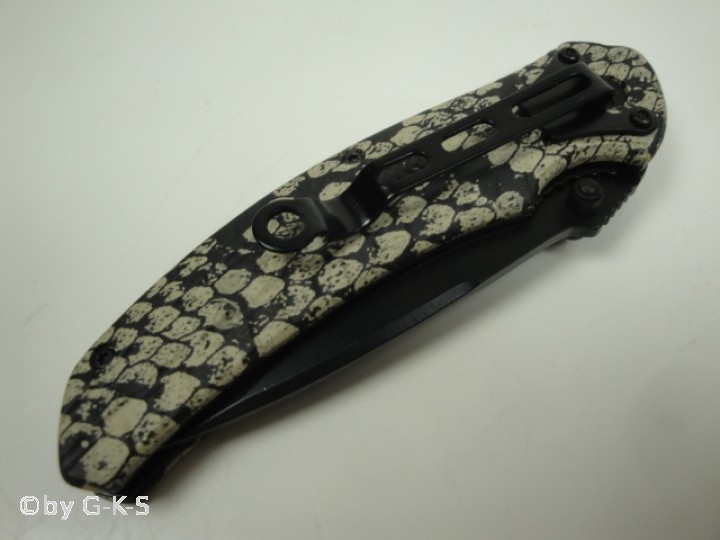 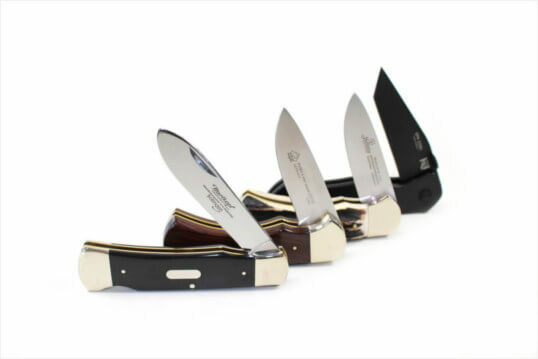 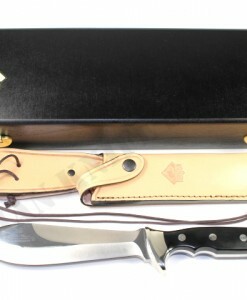 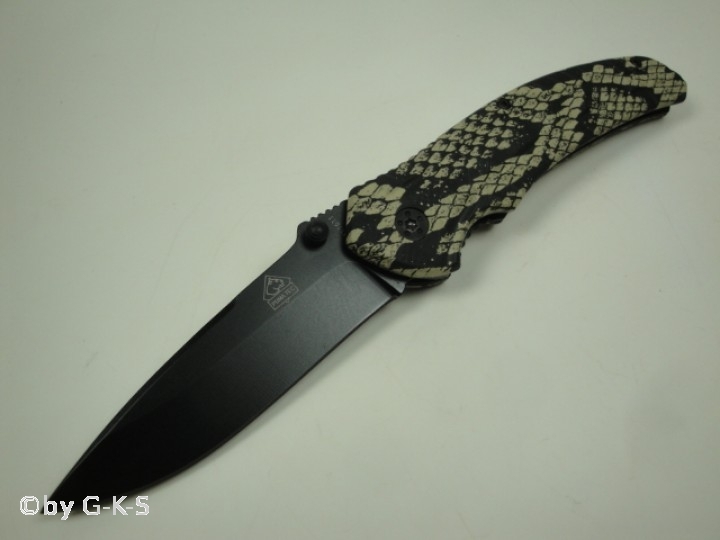 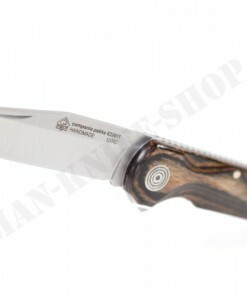 THIS AWESOME FOLDING KNIFE HAS A LINER LOCK SYSTEM AND COMES BRAND NEW / ORIGINAL PACKED !